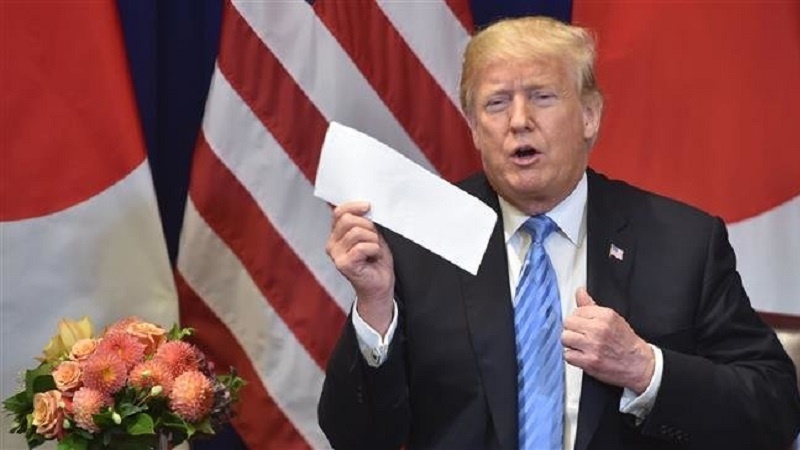 North Korea’s leader has sent a “letter like” message to US President Donald Trump in connection with stalled negotiations between the two sides over Pyongyang’s nuclear program, a South Korean daily says. Citing unnamed diplomatic sources, South Korea’s Chosun Ilbo newspaper reported on Monday that Kim’s “conciliatory message” had been delivered to Washington through an unspecified channel on Friday. The report said it was about stalled nuclear talks between Pyongyang and Washington, but did not provide details about the content. The negotiations came to a halt in November, when a meeting between US Secretary of State Mike Pompeo and senior North Korean official Kim Yong Chol was abruptly canceled. Trump held a historic meeting with Kim in Singapore in June, when the two agreed to work towards denuclearization of the Korean Peninsula. Subsequent diplomacy between the two sides has, however, made little progress in recent months, mainly because the US refuses to lift harsh sanctions on the North. This is while the North has taken several steps towards denuclearization; it has suspended missile and nuclear testing, demolished at least one nuclear test site, and agreed to allow international inspectors into a missile engine test facility and another nuclear testing site. The Trump administration, however, insists that sanctions on the North must remain in place until it completely gives up its nuclear weapons. Despite the halt in its talks with the US, Pyongyang has sought to improve relations with Seoul since Kim met with the South’s President Moon Jae-in for the first time in January this year. The two neighbors technically remain at war after the end of the Korean War in 1953. The North’s leader “expressed a strong determination to visit Seoul while watching future situation,” said Moon’s Spokesman Kim Eui-kyeom. It is not known how the message was delivered to Seoul.